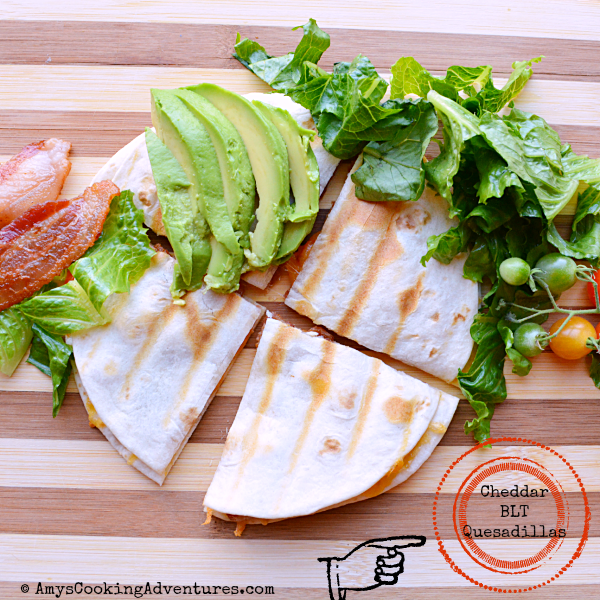 Place the cheese, bacon, and tomatoes on a tortilla. Top with the second tortilla. Place in grill and cook for 3-4 minutes or until the cheese is melted and the tortilla is browned. Top with shredded lettuce and avocado and serve. ummm.. Yumm?? where has this been all my life? I have tortillas and bacon. I might be making this for dinner.